Varsom in Norwegian means “cautious” and Varsom.no is the Norwegian national web portal where daily flood, landslides, snow avalanches warnings and ice conditions on a regional scale are published and represents the main channel to communicate bulletins and warning levels to end-users. 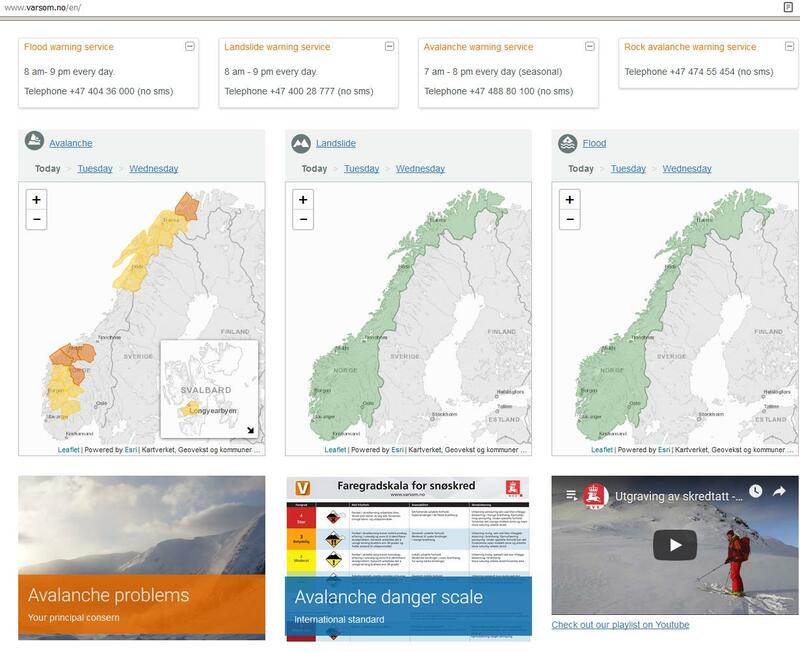 The portal displays warning levels for the current day, and the next two ones, in form of numbers and colours, show natural hazard bulletins and maps prepared and delivered by NVE as well as weather forecasts elaborated by the Norwegian meteorological institute (MET). In addition, the portal provides educational literature, videos and relevant reports. Assessments are published at least twice a day but during the emergencies, we deliver to population, national and regional stakeholders continuous updates on the ongoing situation. Bulletins are in Norwegian and English and valid for 24h from 7:00 am of the publication day. Everyone can subscribe to varsom.no: users will receive the warning messages via SMS or email in referring to the region, type of hazard and level of warning they want to subscribe to. Varsom is also available at Google Play and App store. 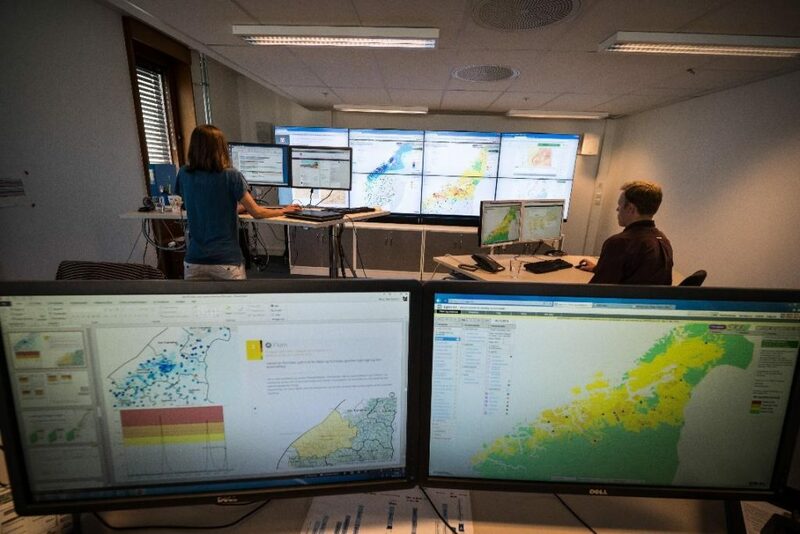 Varsom.no is the result of the collaboration and the work of a large group of experts of NVE, MET and Norwegian Public Roads Administration (NPRA). In 2018 varsom.no won a national price for the best IT web page in the public sector. So, in few words, what kind of service do you offer? In synthesis, we deliver everyday regional landslide warnings, indicating to end-users where and when the probability of occurrence of rainfall- and snowmelt-induced landslides will be high. Through different warning levels, we indicate the different amount of landslides we expect within the warning regions, usually groups of municipalities, and an estimation of the possible damage extension. The warned landslides are debris flows, debris avalanches, soil slides and slushflows, usually shallow and relatively small in terms of magnitudes but significantly dangerous in terms of economic and human losses when a large number of them contemporary collapse along roads, railways or over populated areas. As said, the warning is at regional-scale because, at the moment, we cannot predict the landslide spatial probability at slope level. Therefore, it is important that local authorities know in advance the most critical sites and where the population is most exposed to risk. Local authorities are also recommended to have emergency plans ready to be implemented in case of a warning. How the daily landslide assessment is performed? What kind of data does it need? As we explained in a recent article published in NHESS (Krogli et al., 2018), an operational warning needs many components in terms of professional staff, infrastructures and preliminary data, which serve as input to run the forecasting models. Every day, the landslide forecaster consults our expert tool called xgeo.no, where landslide threshold maps, weather forecasts, outputs of the hydrological forecasting models (rain, snowmelt, runoff, groundwater, soil saturation, soil frost, etc) and landslides susceptibility maps, are available. By combining all these information and eventually consulting also real-time data, available at regObs.no database or from newspapers, the forecaster prepares an interpretation of model results. After a short briefing with meteorologists and flood forecasters, the landslide forecaster decides if a warning should be sent, in which areas and at what level. Finally, the bulletin is published at varsom.no and communicated to the end-users by 11:00 am. Later on during the day, the situation is kept under constant monitoring and updated. The landslide forecasting team consists of 14 people with different backgrounds (hydrologists, geologists, geophysicists, hydrogeologists and physical geographers) working at NVE (12) and at NPRA (2). Are you satisfied with the accuracy of the results? Yes. We weekly evaluate the performance of the system by monitoring some parameters (e.g., correct alarms, false alarms, missed events, wrong levels). Moreover, we run every year an evaluation of user’s perception. As shown in Krogli et al. (2018), until 2017, our forecasts performed 96% of correct assessment at national scale and about 88% during the “challenging days”. Also from the users, we received positive feedbacks. The large majority of them consider the landslide forecasting service as useful or very useful and they have quite or very much confidence with the warning notifications published at varsom.no. What aspects do you want to improve? Despite the good results, we know the service is not perfect and needs improvements. We are working very closely with MET to improve the quality of the forecasts of estival short heavy rainfall, for instance. Moreover, the lack of a systematic landslide mapping after rainfall events requires a long, manual and supervised work by the operator. This influences the evaluation of the technical performance since some landslides are not registered when they occur far from roads, railways and populated areas. A PhD project on automatic mapping from satellite images is currently working on this aspect. Finally, we are working to generate suited alert thresholds for single regions and to perform, in the near future, more local warning systems (such as at the slope scale) in order to improve landslide prevention at the municipality level. Basing on your experience, what would you recommend to other people working on landslide warning systems in their own countries? 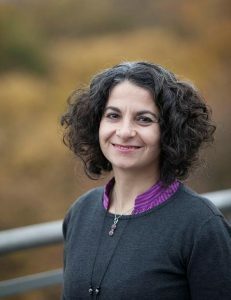 From my previous experience in Nicaragua, I strongly believe that rainfall-induced landslide can be predicted, people can be evacuated in advance and damages can be reduced, but first, we need a combination of national/regional forecasts and local monitoring to generate efficient warning systems and properly predict future landslides. In particular, we need to promote landslide risk management by identifying the most exposed communities and identifying the most appropriate mitigation measures. In this regard, the implementation of emergency plans is crucial and constant communication among scientists, stakeholders and population has to be promoted. This is essential for building mutual trust over the years. As scientists, we have the moral obligation to inform the population living in landslide-prone areas to let actions in advance can be taken. I believe that each country that is highly exposed to rainfall-induced landslides should adopt a framework like this because landslide warnings are cost-effective mitigation measures. In Europe, only Italy and Norway have an operational landslide warning system (Piciullo et al., 2018). I cannot prescribe exactly the same service we have in Norway but I think that every country should design a system that best fits with its cultural, social and economic context. Moreover, I invite all the researchers working on these topics to join the efforts and maintain mutual cooperation by creating an international network of landslide forecasters. For this purpose, in 2016 we organized the first international seminar where colleagues from Europe and USA have been invited to share their experience and knowledge. Why do we need a network? First, because rainfall-induced landslides are not isolated processes and they interest many different countries. Thus, we need to study large synoptic systems that can trigger landslides simultaneously in many countries (like explained in Devoli et al 2018). And then sharing experience will help to improve our models. Krøgli, I. K., Devoli, G., Colleuille, H., Boje, S., Sund, M., & Engen, I. K. (2018). 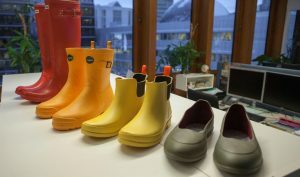 The Norwegian forecasting and warning service for rainfall-and snowmelt-induced landslides. Nat. Hazards Earth Syst. Sci., 18, 1427-1450. My name is Gabriele Amato I am from Rome (Italy) where I studied geology and where I have just finished my PhD, at Roma Tre University. My research is about landslide monitoring through terrestrial and satellite techniques, in different geological and geomorphological contexts. The aim of my PhD was to relate the landslides movement to their triggering factors (rainfall, earthquakes, temperature variations). I am passionate about natural hazards and methods to manage them, especially remote sensing based. In my role as author of the NH blog I am looking forward to sharing course and initiatives organised all around the world in the field of natural hazards with the scientific community, and especially young researchers, since I think these represent great opportunities for networking.